So you’ve got more customers than spaces in your class, tour, or game? Great news: Bookeo just made it easier to capture more sales from these people – with totally customizable, automated waiting list options. That’s right: No more manual lists, callbacks, or stress from slow-responding wait-listed people. What’s more, Bookeo’s waiting list options give you yet another way to keep your calendar fully booked, with no added work. 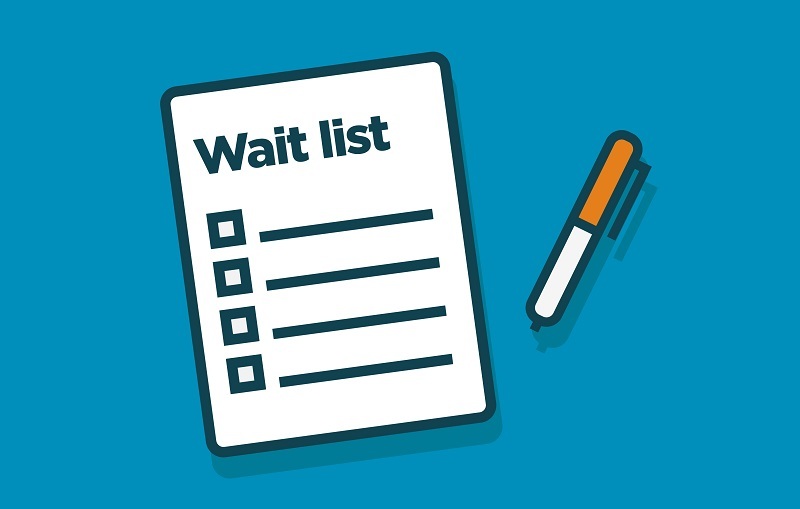 Simply enable waiting lists for your classes, tours, or games; this allows your customers to add their names to a waiting list whenever a session is fully booked. When a space becomes available (due to a cancellation or other reason), these wait-listed customers are automatically notified. Priority Mode is great for when you want to be sure that wait-listed people get first dibs on any newly-opened seats. It automatically notifies wait-listed people one by one, in the order in which they signed up. The general public visiting your site doesn’t see these newly-opened seats until everyone on the list has been notified and given a chance to book. That class/tour/game appears as fully booked on the booking page. Going in the order in which customers joined the waiting list, Bookeo automatically notifies them by email and/or SMS with a link that lets them complete their booking. But what if the first person on the waiting list doesn’t respond? Great question! Simply set the length of time Bookeo allows each customer to make a booking before notifying the next person on the waiting list. This length of time can be hours, or minutes. You decide. If all the wait-listed customers are notified but none have completed their booking in the time allotted, the available spaces in the class/tour/game now appears on the booking page for anyone to reserve. Non-Priority Mode is a first-come, first-served option. Everyone on the waiting list is notified of a newly-available seat at the same time, and the general public can grab that seat too if they’re fast enough. The class/tour/game immediately appears as not filled, with the newly-available seat(s) open to anyone for booking. All customers who joined the waiting list are immediately notified by email and/or SMS with a link that lets them make a booking for that class/tour/game. If you decide to add an extra session of a popular and fully booked class or tour, you can now easily send everyone on your waiting list an email to let them know. This email can include the new session’s date, time, booking page link, and any other info you’d like. As a manager, you can manage and view waiting list entries from your Bookeo dashboard. That means you can instantly see how many people are on a waiting list for any particular class, tour, or game, right from your Bookeo Calendar. You can add, edit, or delete waiting list entries, or convert an entry into a booking with a single click. If you want a quick glance at all the waiting lists entries, you can also easily generate the specific report you need. As always, we’ve created a tutorial for you, explaining how to use Bookeo’s new waiting list options: https://support.bookeo.com/hc/en-us/articles/360017919312 . Please remember to let us know how we can help make Bookeo and your life easier. We wish you many wait-listed classes and tours in the months and years to come!